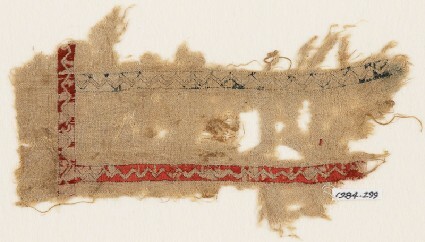 Two narrow bands are set parallel to each other; one is embroidered red, the other blue, each with a zigzag left showing the undyed ground fabric. A third band is at right angles, also red with a continuous zigzag. The bands are 1 cm wide.